Kemet is a great game but it has very little educational value. Although set in ancient Egypt and incorporating some Egyptian mythology, the game itself has nothing to do with Egypt but weirdly pits players against each other on a sandy board. Yet Kemet teaches an important lesson because it is absolutely beautiful. Like many of the most successful crowdsourced games, players of Kemet use gorgeous miniatures to move around the board. The pyramids players build while playing Kemet are actually 4-sided dice that are rotated to show each pyramid’s ‘rank’. Space Alert: a game with a soundtrack that sets the tone, tells the time, and communicates information. The bottom line is that game designers understand that vibrant visuals and appealing aesthetics keep people engaged and interested. Teachers in primary schools are also privy to this common wisdom, but instructors in higher education, not so much. You can often enhance the experience with relatively little effort or by off-loading the effort to your students: in simulations where students create a fictional country, have them draw a map of it and use the projector to display a map of what they have created. Model UN exercises often give students flags or symbols of the countries they represent, and the classroom can be decorated to create an atmosphere that enhances students’ immersion and engagement. 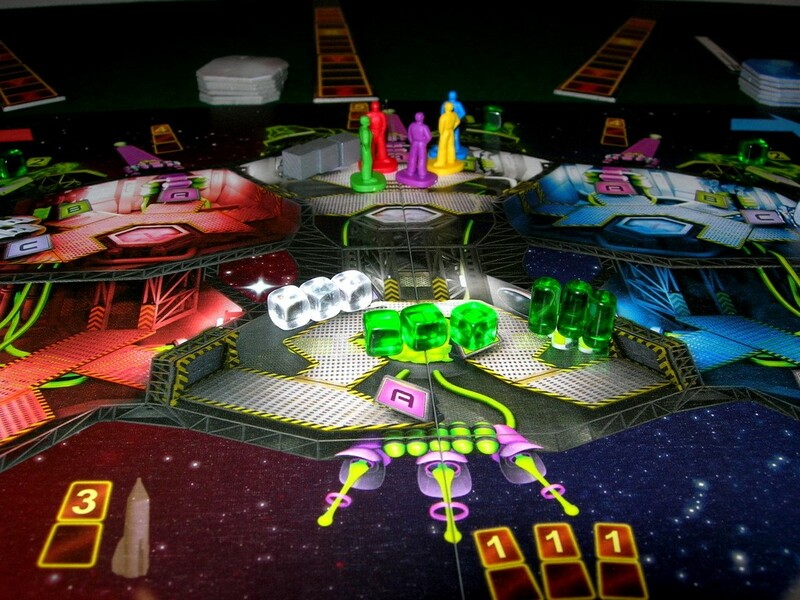 Though it is less common, some board games come with a soundtrack to use while playing. This feature is particularly useful for timed games or activities, like the game Space Alert, where the soundtrack creates an atmosphere, works as a timer and also provides important information that affects gameplay. Instructors don’t need to create a custom soundtrack, plenty are already freely available. Carcassone: a lovely French town and an equally lovely and relaxing gaming experience. Another related rule of thumb we can learn from game design is this: make core mechanics enjoyable. Most games have one or two actions that you do over and over again in the course of the game. Think of a hand of cards in Bridge or Poker. In an evening you’ll be playing many hands, and you’ll be doing the same thing over and over again. Since the core mechanics are something that players do over and over again, designers try to make sure that action is an enjoyable experience – something that is pleasing in itself, regardless of the game context in which it is situated. Rolling dice is fun, and so a game that has you roll dice repeatedly is going to have a good foundation. 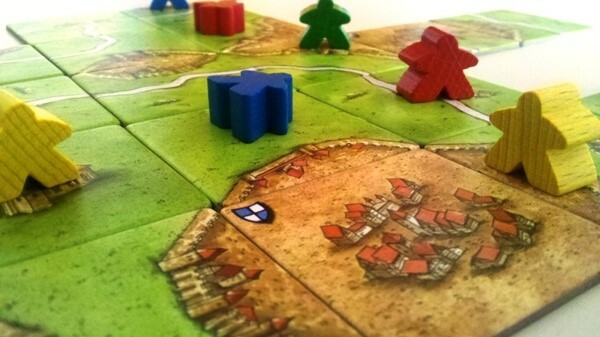 In the game Carcassonne, players take turns laying tiles, contributing to a joint depiction of a French town by that name. Regardless of the strategy or gameplay, matching up tiles and building the city is itself a satisfying experience – as fun as building a puzzle or painting a city. This is it from me, for now – if you have any more ideas about using game design principles or the relationship between tabletop gaming and pedagogy, feel free to reach out. Next > Undergraduates Doing Replication? Why Not! ?